Dwindling In Unbelief: Happy Darwin Day! To celebrate Charles Darwin's 203rd birthday, I attended Darwin on the Palouse on Thursday at Washington State University and at the University of Idaho on Friday. It was sponsored by the Palouse Coalition of Reason, and featured presentations by Daniel Dennett, PZ Myers, Fred Edwords, and Jen McCreight. It was as close to heaven as I'll ever come. I don't have time to report on the presentations, but since they were videotaped, I'll post a link to them when they become available. Still, I feel like I ought to say a few words in honor of Darwin on his birthday. Or better yet, I'll let him speak for himself. Here's a quote from the introduction to The Descent of Man. 14 March 2012 Update: Here's the Daniel Dennett talk. 203 years, and the arguments of the opponents haven't evolved at all in that time. Does that count as evidence against evolution? Over at RichardDawkins.net (http://richarddawkins.net/articles/644929-happy-darwin-day) there are some links to free books on evolution, apparently good for today (2/12) only. Looking forward to the video links, Steve. I also wish I could have been there. This sounds like a religion, Darwin worship, complete with a mention of "heaven". Darwin was certainly a very smart man and he made important contributions to biology. And, Darwinism does explain a few things. For examples, there are sickle cell disease and bacterial resistance to antibiotics. The really important adaptations are beyond Darwinism, however. Bird wings and flight feathers, as examples, require foresight and design. To get from a dinosaur foreleg to a wing requires real engineering. A process of random mutations and natural selection just won't get there. I challenge anyone to explain how that could happen. Yes, there has been evolution (in the broad sense). But, it had to be guided. It seems so obvious. Why don't more biologists see it? Are they so blinded by materialistic naturalism that they don't? Ahhh, naturefarmer, the old "isn't it obvious" argument. Brilliant! I suppose it then follows that Jesus died on the cross for our sins etc. "...Darwinism does explain a few things... (but) ...A process of random mutations and natural selection just won't get there. I challenge anyone to explain how that could happen." Evolutionary theory (that's "theory" in the *scientific* sense, like the theory of gravity or atomic theory) has come a long, long way since Darwin. Darwin knew nothing about genes, and DNA wasn't even on the radar screen until the middle of the Twentieth Century; the fossil record was poor in Darwin's time. It has been said that "nothing in biology makes any sense except in light of evolution." I challenge *you* to read a good book on evolution. "Why Evolution is True", by Jerry Coyne is such a book. (See http://jerrycoyne.uchicago.edu/ ). You can't seriously think you can come on a blog like this and say "It seems so obvious. Why don't more biologists see it?" and expect to convince anyone that they should agree. Ignorance of the facts is not a crime, and can be remedied; willful ignorance is nothing but stupidity. Three years ago I purchased a copy of Dr. Coyne's book "Why Evolution is True". I have read it more than one time since then. It is well-written and interesting to read. When he sticks to the science, it is a valuable resource. He does tend to stray into "culture wars", however. The science interests me. I don't care about the politics and culture wars. I want to know what really happened. I can handle that. Dr. Coyne makes a good case for common descent. His discussion of endogenous retoviruses (p. 69) is especially enlightening. Common descent is an important aspect of "evolution" but it is not an explanation of the cause. That is left to neo-Darwinism. There is where the real weakness lies. Pages 46-47 attempt to explain the evolution of bird flight. Here is a quote. "[F]eathers evolved before birds could fly...what on earth were they for?...we don't know...And what feathers evolved from is even more mysterious." Then Dr. Coyne goes through a couple of scenarios where flightless feathered dinosaurs are running around with long feathers on their forelimbs catching insects or leaping from trees. It is very unconvincing. How could small (tiny) steps in this process be advantagous? In the non-living world, things that appear to be designed ARE designed. It took very smart humans to make computers, automobiles, etc. When it comes to the much more complex living things, are we to believe that they just happened? I have doubts about my position in this debate. I certainly want to know the TRUTH. Do you ever question your position? It may sound like religion, naturefarmer, but it isn't. In fact, it's just the opposite. Charles Darwin was neither prophet nor messiah, and his writings are not sacred texts. No one will go to heaven for their understanding of science or be tortured forever in hell for failing a math exam. Your certainty about the the origin of bat wings and bird feathers is an example of the ignorant confidence that comes from religious belief. Thank you for your response, Steve Wells. A few years ago I read "The Blind Watchmaker" by Richard Dawkins. He is a good writer who knows a lot about the subject of biology and evolution. He like, Jerry Coyne, tends to get political, however. I don't have the book in front of me, but I remember that he starts with bats and echolocation. While reading the book, I thought "great, he is going to explain how bats evolved and how they acquired echolocation". He didn't, though. He just made a statement that it happened by a blind undirected process. It was as if we were supposed to take his word for it. He is a smart and well educated man, but I can't just take what he says by faith. He needs to show the evidence. That is what science does. As for my showing "ignorant confidence" I just said in the previous post that I have doubts. Do you? I think the main reason people have trouble with Darwinism (by that I mean random mutations acted upon by natural selection explaining the diversity of life) is that it is so counterintuitive. In the non-living world we see things breaking down and becoming simpler. Farm equipment does that all the time. It takes an intelligent agent (a mechanic) just to keep it running. Entropy increases. So, how can living things become MORE complex with time? Outside input is needed to turn something like a bacteria cell (already quite complex) into a eukaryotic cell and then into a multicellar plant or animal. I'm not appealing to religion here. I am a Christian believer but that doesn't preclude me from being a scientist. As for Darwinism not being a religion. It isn't, but it has some of the trappings. It is kind of a religion substitute. Darwin seems to be held in great awe by Dawkins and many others. One thing can't be explained by a scientific theory. It is completely wrong. So many contradictions in the Bible. But it's copying errors/mistranslation/because you don't understand that 70 and 700 are the same number in God's eyes. If, and I don't think it is true that it's wrong, that modern evolutionary theory can't explain echolocation, then that doesn't disprove evolution. That says, "evolution works up to this point, but breaks, so we need a better theory that fits all the data". When Newtonian physics was shown to have errors when one moves close to the speed of light, scientists didn't immediately throw up their hands in the air screaming "It's God all along! How could we have been so stupid! He causes gravity! Duh". Your God is a God of the Gaps. Keep on pointing out gaps in the scientific theory, but the more we fill, the smaller your God becomes. And as history as shown, Natural Wonders caused by God: 0, Natural Wonders caused by Science: countless. Your move, lol. Sorry if I was a bit harsh. Perhaps the reason they sound "political" to you is that the right wing in the US has made the disinterested pursuit of science into a "culture wars" issue? Where else can we go with the abject insanity that is the religious right's attack on biology? How about meteorology? Hurricanes are too complex to happen by chance. They must be intelligently designed. Anyone who suggests that hurricanes evolve from tropical waves that begin as thunderstorms off the coast of west Africa is a godlesss liberal. I can tell you that anyone who could come up with a plausible theory that could replace evolution as a way of explaining the natural world as we see it would instantly win the Nobel Prize. That's "theory" understood to mean "an explanation of the interrelationships between observed and verifiable facts", not "my best hunch". As for "design", what about *bad* design? You might look up the recurrent laryngeal nerve, or why the eyes of raptor birds of prey have much better visual acuity than those of humans. A good book on this subject is "Your Inner Fish", by Neil Shubin. Other examples of bad design are all around. Why would a designer arrange things so the majority (>90%, IIRC) of species that have ever existed have become extinct? I find it much easier to assume that an observation that has no explanation is simply one whose explanation is "pending" than that there has to be a supernatural explanation for it. You must see that "goddidit" isn't much of a motivation to try to figure out the natural world. Where would we be in the areas of medicine, physics, biology, geology, astronomy - to list a few that occur to me - if no one had ever bothered to go for those gaps? A couple more afterthoughts. About those feathers. They weren't necessarily "for" anything. What we know is that they improved the chances for their owners to survive and reproduce. "Why" this was the case may not be understood, but it may be possible to generate a testable hypothesis that could lead to understanding. Your mention of 1) farm equipment and how it requires maintenance to keep operating, 2) entropy, 3) increasing complexity make me think you've been hearing the argument about the Second Law of Thermodynamics. Remember that this law applies to a *closed system*. The Earth is not a closed system. It gets a rather large amount of energy from a nearby mass of fusing hydrogen. You can be a "Christian Believer" and a "Scientist", but when it comes to evidence you will have to decide where you stand. Probably there will be areas of inquiry that you will prefer not to enter; I think that most modern-day scientists who claim to be religious are somehow good at compartmentalizing the two areas so they seem not to conflict. I have been gone for a while. I appreciate the comments here. Yes, I've read books by Jerry Coyne and Richard Dawkins as well as Charles Darwin. Several of the arguments in those books are quite persuasive. For example, the evidence for "common descent" is strong. On the contrary, the evidence for ALL this just happening due to random variations and natural selection is quite weak (small changes certainly can happen that way). Here is a request. 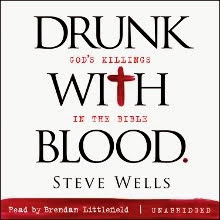 I would ask that you, Steve Weeks, and others read these three books and give your honest assessment of each: Signature in the Cell by Stephen C. Meyer, Darwin's Black Box and The Edge of Evolution by Michael Behe. I would really like to know what you think concerning the strengths and weaknesses of these authors' arguments. Maybe you have already read those books. You may have preconceived ideas on the books. I'm not much interested in those, just your evaluation AFTER reading them. That's a heavy homework assignment. Unfortunately, I don't have time to read Discovery Institute/Intelligent Design stuff. Not all points of view are equally worthy of attention. ... and that gives me an adequate assessment of it. You have read some material, written by authors *widely accepted* as experts in their fields (Coyne, Dawkins... as opposed to Behe and Meyer), and you find some of the evidence convincing, yet you say that "evidence for ALL this just happening due to random variations and natural selection is quite weak." I think you may not be reckoning with the **vast** stretches of time involved in the evolutionary process. It is almost impossible to adequately comprehend what small changes over millions of years can amount to... but that is the hang-up, I think. OK, there may not be much more for us to discuss. I have enjoyed the honest exchange of ideas, though. I'm certainly not afraid of the truth. The Meyer book is long, but the Behe books are not. It would be worth your time to at least read one of them. As for vast time periods, yes, the evidence is overwhelming that the earth is more than 4 1/2 billion years old. That doesn't solve all the problems, however. There had to be a FIRST TIME, a distinct event when, for example, the first bird flew. Prior to that first time, what kind of natural selection was causing flight feathers and wings to develop? If a proto-bird was climbing around in trees with awkward forelimbs, how would natural selection favor such a thing? And, natural selection would have to favor it STRONGLY and in a just the right way to end up with usable wings. Hand waving arguments are all I have ever seen from Darwinists. They just don't make the case. Also, there is something else that puzzles me. Why are Darwinists (most, not all) so defensive and dismissive of other ideas? Do they have hidden doubts? After all, the Darwinists practically own the university biology departments. What do they have to fear? I have a good friend from my high school days here in Oklahoma. He has a Ph.D. in entomology and has taught and done research at a major university for many years. He has sincere doubts about Darwinism, but mostly keeps them to himself. Why? On the few occasions when he has expressed doubts about Darwinism, he has faced strong personal attacks. That is a shame. A university is supposed to be a place where ideas can be openly expressed. OK, this probably doesn't relate to you at all. You have been very civil. I thank you for that. It just seems that too much of the discourse between the various factions in the "origins debate" is prone to name calling and personal attacks. A little more humilty is in order. After all, none of us were there to witness what actually happened. Part of my brain says you've almost got it; the other half says you're at square one. "After all, none of us were there to witness what actually happened." Do you really think this argument carries any weight? No one has ever seen an electron; no one has actually seen a continental plate move (except earthquakes!). Yet testable hypotheses lead to theories that allow accurate predictions. This is what science is all about. It would be useful to stop calling evolutionary theory "Darwinism". Darwin had a great idea, but it has been improved, refined and strengthened tremendously in the time since he proposed it. Darwin knew nothing about genes, much less DNA. The word "Darwinism" is used as a virtual epithet by creationist/intelligent design types. You ask "Why are Darwinists (most, not all) so defensive and dismissive of other ideas?" It's because the "other ideas" are not supported by **evidence**. See "Why Evolution is True" yet again. Your friend with the PhD in entomology and "doubts" about evolution keeps quiet probably because he is aware that he might as well express doubts that the earth is round or that microorganisms cause disease. "Strong personal attacks" are not appropriate in an academic or scientific context, but if his professional position is jeopardized by espousing explanations of nature that are not supported by evidence that is a different thing. Finally, I'm going to tackle the "first flight" issue. You should have picked up from Coyne's book, if not others, that there is no time when a bird just "appears". At any given point in time, a survey of the creatures in a given are will find that they are almost all very similar; adjacent generations are virtually indistinguishable from each other. Flight almost certainly started out as "gliding". Perhaps a reptile had feather-like structures that were just enough larger (the "random mutation") than its parents to prevent its being killed from falling out of a tree avoiding a predator (the "natural selection"). That reptile might pass on those larger feathers to some of its offspring. With this improved ability to avoid being eaten, this creature would tend to out-reproduce its peers. The transition from gliding flight to powered flight would take thousands or millions of generations. So the "first bird to fly" would differ very little from its immediate predecessors. I hope this helps. But, please, don't use the "no one was there to witness it" argument. You are obviously more intelligent than that. Cheers! This will be my final post. You (or some one else) may have the last word. I've really enjoyed this discussion. You have given me ideas to consider and I am certainly going to do so. My reason for using the term "Darwinism" is that it brings out the concept of natural selection acting upon random variations. That is the foremost original idea that is associated with Charles Darwin. And, as I understand it, this idea is still today at the very heart of evolutionary theory. "Evolution" or "evolutionary theory" is much broader. Coyne (p. 3) does a good job of explaining that in his book. I don't know about others, but I don't use the term "Darwinism" in a negative sense, rather in a more of a descriptive sense. After all, I believe in "evolution" (change over time). Any thinking person does. Things change. Species change. I believe much more than that. The earth is billions of years old (for sure). Life has changed dramatically during that time period. Common descent is quite likely to have occurred (maybe even the the big "tree of life" but at least "bushes" here and there). For some one from a fundamentalist Christian background, those are really big things to accept. But I do so on the basis of EVIDENCE (as you have mentioned several times in your posts). I'll go a little farther. Natural selection most certainly occurs. Random mutations occur (I hope they are random, the bad ones at least, and most are bad). But, where I absolutely DON'T see evidence is the extrapolation of this process to the origins of novel new features such as wings, flight feathers, etc. The genetic material contains INFORMATION. This information came from somewhere. In our human experience, the only source of "specified and complex" information, like this, is intelligence. Here is an experiment that could be done. I wish it would be done. You, no doubt, know about SETI (Search for Extra-terrestrial Intelligence). I wish that someone would take the genome of any organism (say, a simple bacterium) and code the As, Gs, Cs and Ts in a form that could be fed into the SETI program. What would it show? My guess (just a guess) is that it would show a strong signal for an intelligent source. I'll close my arguments with an analogy for the genome of an organism. The genome is somwhat like a big city library. There are many volumes in the library. Some are duplicates. Some have been misshelved. Many are never or seldom read. Some have pages missing. Other libraries have similar collections. Many of the same books occur in those libraries. NEW BOOKS are added from time to time. Things have happened in libraries that are not due to any "smarts" or intelligence. Yet, no one will ever deny that the basics (the books) came from intelligent sources (human writers). No analogy is perfect, but it sure appears that the genetic information in a living organism is, at the basic level, much like what you find in a bricks and mortar library. There is overwhelming evidence for a spherical earth and for the germ theory of disease. To compare those with my friend's doubts concerning a few aspects of evolutionary theory is not fair. Where the evidence is strong, I know he accepts it. Where the evidence is notably weak, he (and I) would like to have an open and honest discussion, not personal attacks. I love science. I am a scientist at heart and I hope that the search for evidence continues in a very robust fashion. I am willing to change my ideas as new evidence requires. Right now, the evidence does not require life to have developed through a non-intelligent process. In fact, just the opposite is the case. The only reasonable way that the vast information needed to code for even a simple organism could arise is from an intelligent source. I knew when I posted on "Dwindling in Unbelief" that I would represent a very minority view. That's OK. It's good that we talk to each other. Finally, I'll say this. Life, HOWEVER IT GOT HERE, is a wonder beyond wonders. I can easily image a barren planet. Even with oceans and an atmosphere, it would be a dull place. This planet is fabulous almost beyond comprehension. This is too long. I'll stop. Best wishes to all!